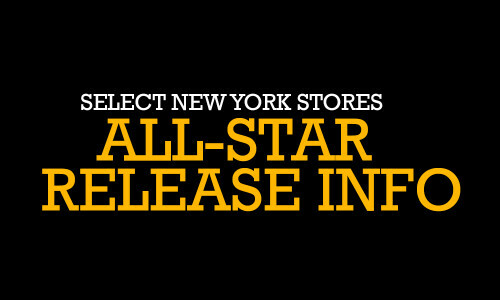 Due to heightened excitement for the upcoming Men’s and Grade School All-Star releases, select New York area Foot Locker and Kids Foot Locker stores will have specific procedures in order to purchase the below releases. Please read the following information carefully. You can only reserve a pair for the stores listed below, if you pick up a ticket at HOUSE OF HOOPS BY FOOT LOCKER @ W. 33rd Street & 7th Avenue (next to Madison Square Garden) on Saturday, February 7th and Sunday, February 8th. House of Hoops by Foot Locker @ W. 33rd & 7th Ave.
House of Hoops by Foot Locker @ 11 W. 34th St. 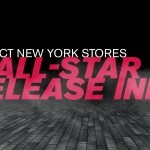 Foot Locker @ 120 W. 34th St.
For additional All-Star release details, please visit Launch Locator. Saturday, February 7 (8:00 a.m. to 8:00 p.m.) and Sunday, February 8 (8:00 a.m. to 6:00 p.m.) at the HOUSE OF HOOPS BY FOOT LOCKER @ W. 33RD Street & 7th Avenue (next to Madison Square Garden) ONLY. 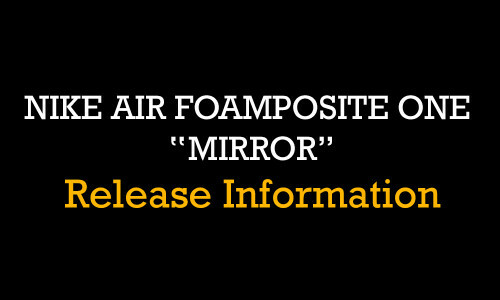 Nike Air Foamposite One ‘Mirror’ (On Sale 2/15) will follow a sweepstakes procedure. 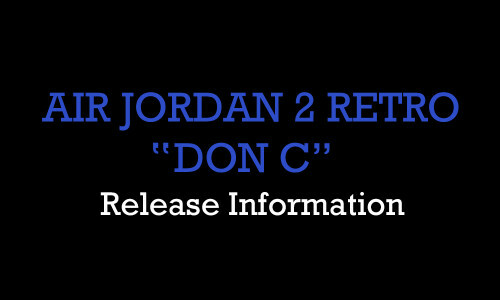 For details, please visit Foot Locker Unlocked. Due to the heightened excitement for the February 15th release of the Nike Air Foamposite One ‘Mirror’, Kicks Lounge at Footaction @ 225 W 34th Street will follow a sweepstakes procedure. Please read the below carefully. Sweepstakes tickets for Kicks Lounge at Footaction @ 225 W 34th Street will ONLY be given out for the Nike Air Foamposite One ‘Mirror’ on Saturday, February 7th (8:00 a.m. – 8:00 p.m.) and Sunday, February 8th (8:00 a.m. – 6:00 p.m.) at Footaction @ 543 Fulton Street in Brooklyn. In order to purchase the Nike Air Foamposite One ‘Mirror” from Kicks Lounge at Footaction @ 225 W 34th Street in Manhattan, you must get a ticket from Footaction @ 543 Fulton Street in Brooklyn. Limit one ticket per customer. You must have a valid photo ID to receive a ticket. If your ticket number is drawn, you will be notified by phone on Wednesday, February 11th or Thursday, February 12th. If your ticket number is drawn you must be at Kicks Lounge at Footaction @ 225 W 34th Street on Sunday, February 15th between store opening time and 6:00 p.m. local time to make your purchase. You must have the ticket and show a valid photo ID that matches the name on the list in order to purchase the shoe. Any shoe not purchased by the 6:00 p.m. local time deadline will be forfeited.